I got an email a week ago from a good friend of mine asking if I had time to make a card for a bridal shower she is attending on May 3rd. Patterned Paper - Simple Stories - Harvest Lane and Cosmo Cricket - Wanted - Slue Foot Sue. 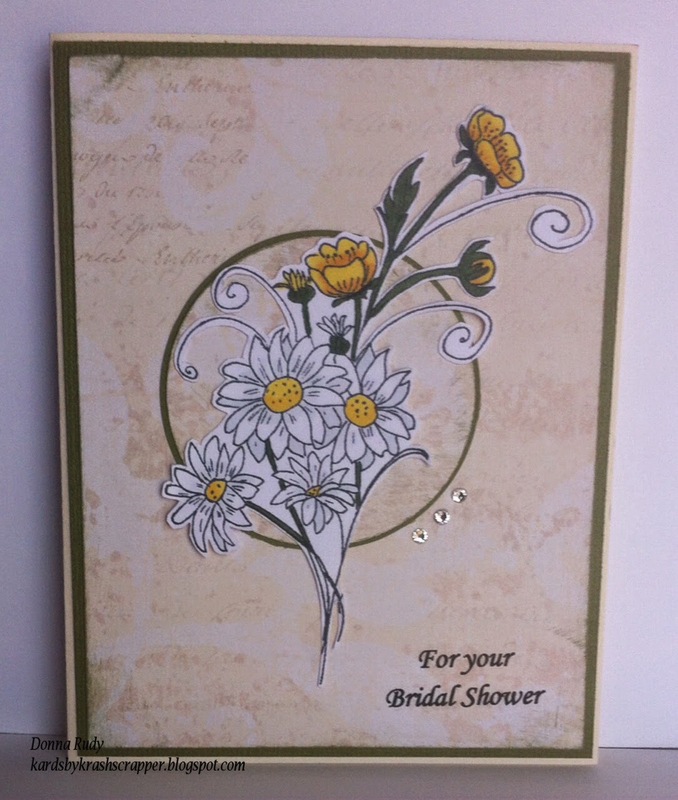 Stamp - Rosewood Canada called Daisies and Buttercups. 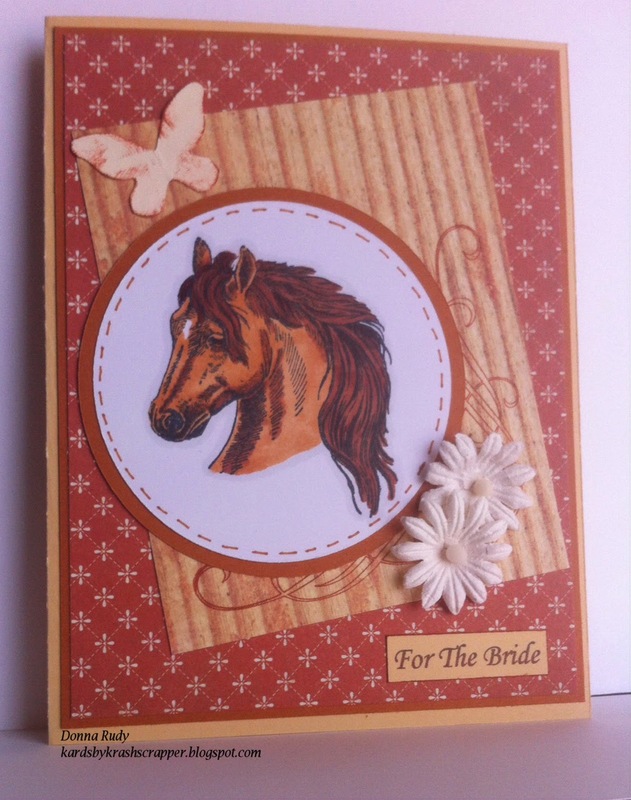 My friend chose the horse card.......I hope the bride to be likes it!